This latest iteration of the famed Ulysse Nardin Freak, with its flying carousel baguette movement that rotates around its own axis, is again automatically wound as it was for the first time in the 2018 Freak Vision. 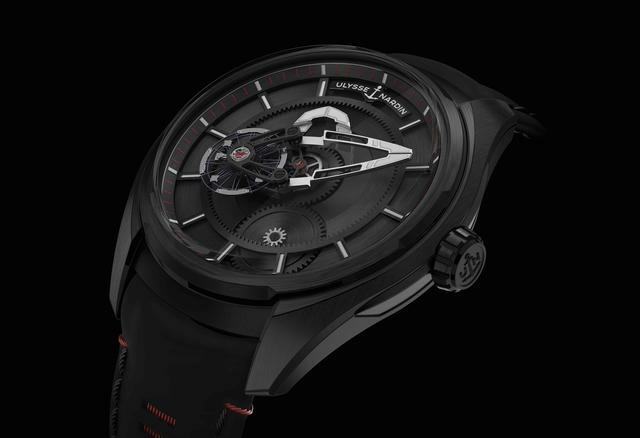 But in this 2019 SIHH debut, Called Freak X, it’s without that earlier model’s Grinder automatic winding system or unique Ulysse Nardin Anchor escapement, which in part may explain its relatively lower price. The new Freak X does however feature a 43mm titanium satin-finish and sandblasted black DLC case, a titanium black DLC bezel, and, surprisingly, a crown. 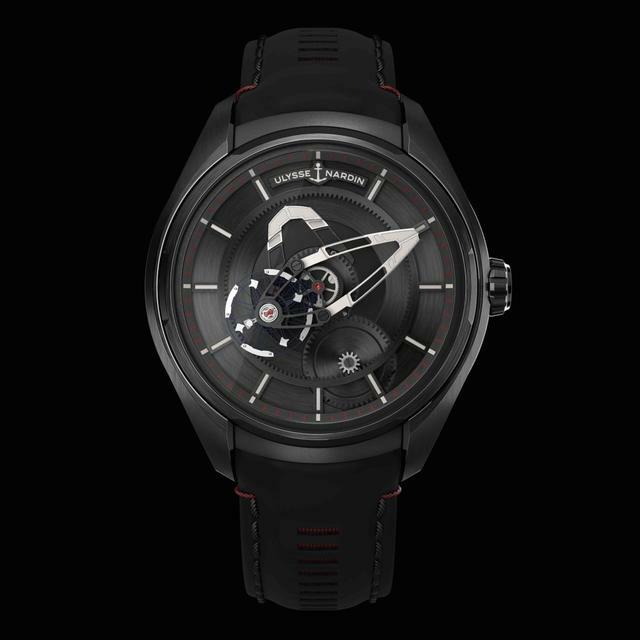 Even the new Caliber UN-230 is black, with its index and bridges in Superluminova. Price: Approximately $21,000.